Is your team’s sales proposal development process overly complicated and constantly on the verge of a breakdown? Here’s how to turn it into a streamlined, indestructible, deal-winning machine. Is your sales team performing a straightforward task, like creating proposals, in an unnecessarily complicated way? Is your process precarious, with the smallest hiccup threatening to break the system entirely? Does your proposal process involve more people and steps than it should, and take way longer than necessary? Does the finished product tend to be kind of underwhelming, even after all that work? 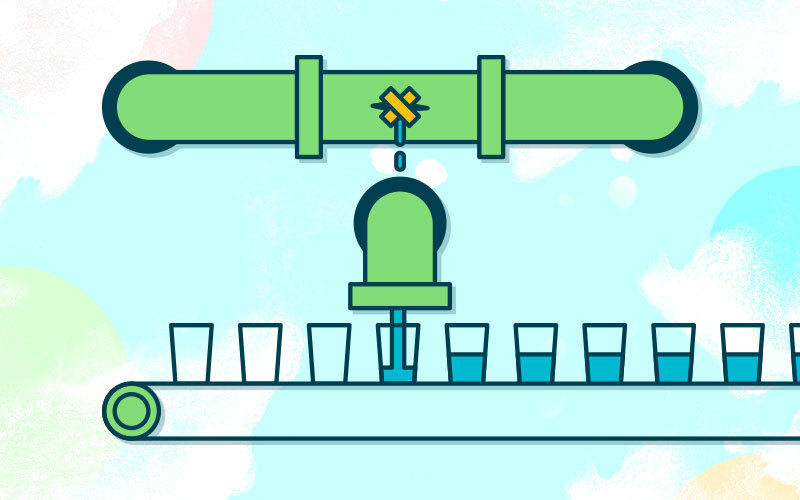 If you answered yes to any of these questions, your proposal process might more closely resemble a Rube Goldberg machine than an efficient document creation system that pumps out winning proposals. Creating a sales proposal may appear complex, with sections and detailed information and tables, but at its heart it’s simply a sales document. There’s no need to over-complicate it and make it harder on yourself and your sales team. A process that’s set up like a Rube Goldberg machine is fraught with complexity, delay, and frustration. It also has the potential for malfunctions, leading to headaches and lost deals. Your sales reps need a simple, scalable process to get great proposals out the door and in front of leads. The good news is, when you have a process in place, albeit one that’s not completely serving you, you have an opportunity to make it a productive, smoothly-functioning one. When we were setting up a blog content creation process here at Proposify, we wanted to design a framework for how I would outline, write, and schedule two blog posts per week. Our first kick at the process can had us putting together a convoluted plan where I would be switching back and forth between researching, outlining, writing, and editing posts each week. The complicated schedule was a lot to wrap our brains around. There were arrows and codenames and many, many Basecamp to-dos involved just to keep it straight. We tried it. It didn’t work as we’d intended it. It was confusing for everyone involved. Instead of sticking with it because it worked in theory or because it had taken us a while to draft, we abandoned it and regrouped. Now, our blog content process is chugging along nicely. We simplified it so that each week I’m working on specific tasks. Week A is researching and editing, while Week B is writing, and the schedule switches back and forth between the two. These days, I know how to organize my week and my collaborators and editors know when to expect things so they can better plan their time, too. The moral of this little story is that if your process is over-complicated and underperforming, that’s your cue to question it and make some changes. It’s never too soon or too late if you’ve tried to make it work and it’s just not doing what you need it to do. So, back to your team’s proposal creation process. You’ve thought about it and discovered that it’s less of a well-oiled machine and more of an improvised Rube Goldberg one, held together with figurative duct tape and a real sense of optimism. What’s next? How do you fix it? Did you know there are other versions of Rube Goldberg machines around the world? Each one has a slightly different connotation in its respective culture. 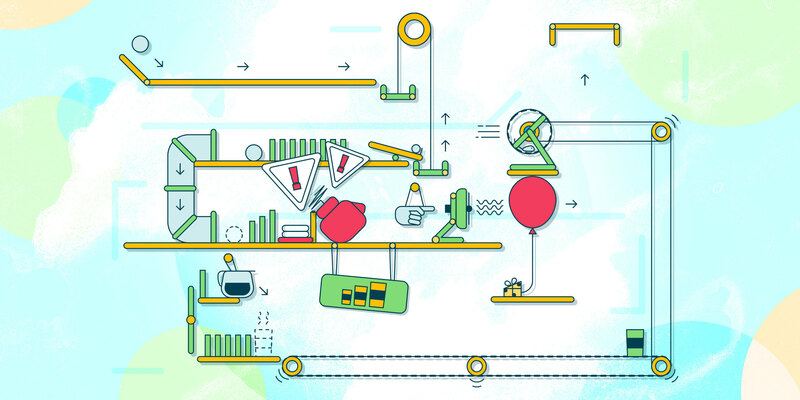 Here’s how you can figure out which international Rube Goldberg machine your proposal creation process bears a resemblance to, and what that connection can tell you about how to improve your proposal process. Is your proposal process overly confusing and complicated? If so, your proposal process might resemble a ‘gas factory’. From the French, une usine à gaz, a gas factory means something that’s super convoluted, as in a plant with lots of pipes and tubes running in all directions. In the confusion, you don’t know where anything is coming from or where it’s going, and there’s a risk of the whole thing just blowing up. It’s always a last-minute scramble to create proposals on deadline because the process is too convoluted and takes much longer than it should. You’re constantly requesting and re-requesting proposal information from colleagues. You’re unable to find the up-to-date details you need, like images, logos, and branding. Standard or boilerplate text gets lost and you end up ‘reinventing the wheel’ by spending time recreating those parts. Every proposal requires lots of back and forth to get approval and passes through excessive rounds of revision. There are so many people involved that no one is sure what the others are doing and when. You send out fewer proposals than you’d like because each one takes so much effort. 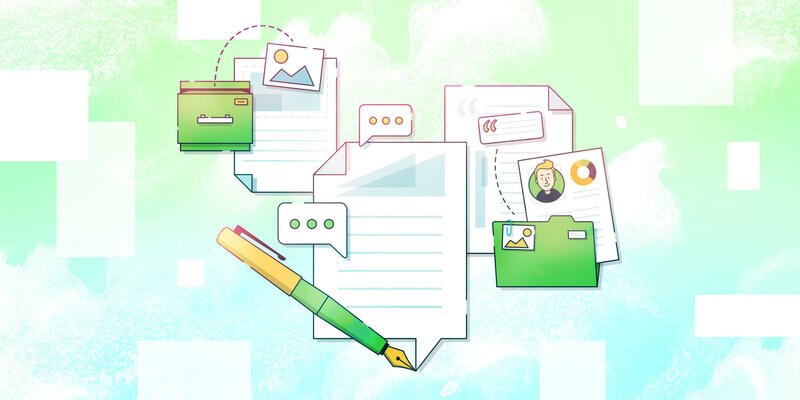 Good online proposal software like Proposify will help you organize your content so it’s easily available and searchable. You could also set up a system using shared folders or a file storage and sharing program like Dropbox. Create the boilerplate content that you’ll use over and over again, like company and product descriptions, and store it in your content library for easy access. 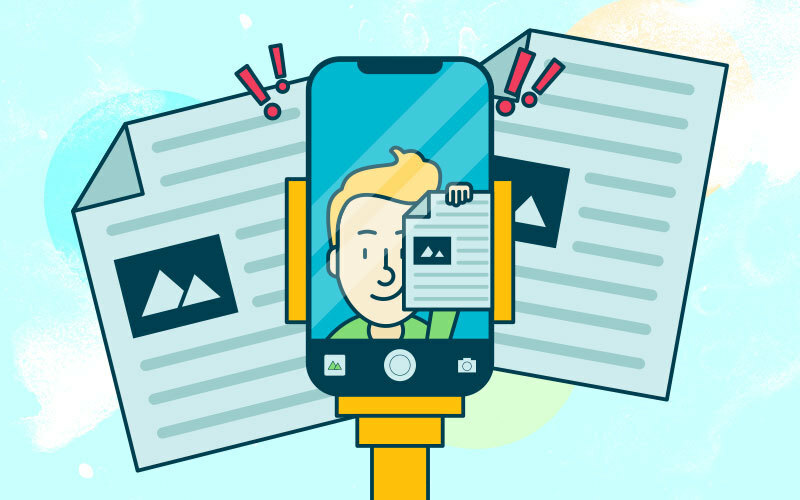 Continually archive or delete old, obsolete content, images, and branding so all proposal creators have the most current files at their fingertips. Make sure your process for reviewing and editing proposals is reasonable and manageable. Remove any steps that are superfluous, and really think about the order in which reviewing happens so steps aren’t redundant. For example, it might not be efficient to send proposals to the proofreader before the sales manager has seen them. Set up templates for the kinds of proposals you send so you’re not always starting from scratch or scrambling. 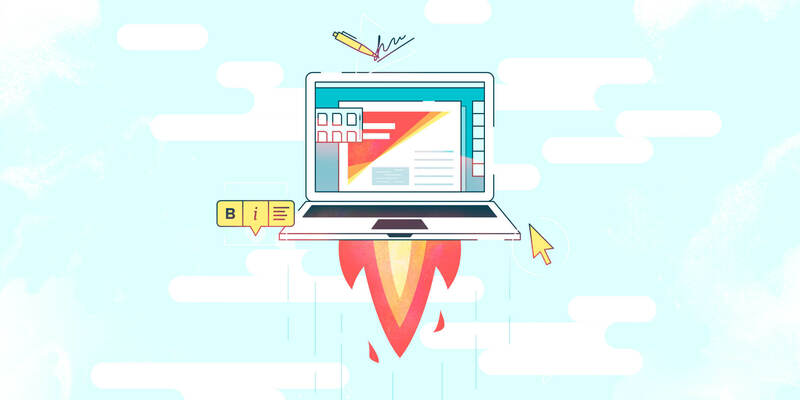 With a more streamlined process in place, you can use your newly increased speed and capacity to create and send (and close!) more proposals. Does your process seem to work okay, but you’re not getting results? You might be practicing the art of Chindōgu without even knowing. Chindōgu, which translates to “unusual tool,” is the Japanese art of creating gadgets which seem useful but are limited in actual utility. One of the most well-known examples is the baby mop. Another ‘useless’ idea featured as Chindōgu in the 1990s? The now-ubiquitous selfie stick. Your process seems to work on the surface—you get lots of completed proposals out on time, but you’re not seeing a return in the form of winning deals. Your proposals have breadth but not much depth. Your proposals have an alarming tendency to go out with errors and typos. You come up with the important details, like scope and timeline, on the fly as you create the proposal. The finished product appears rushed and doesn’t impress potential clients. You’re sending quick-and-dirty proposals to everyone and their grandma. If you’re using a generic, underwhelming format (a Word doc with a few haphazard pricing tables, perhaps? ), you could see an increased ROI by using a professionally-designed template or having someone design something in-house. Make sure it follows your business’ branding guidelines. Customize each proposal so your lead feels like it was specially created just for them. 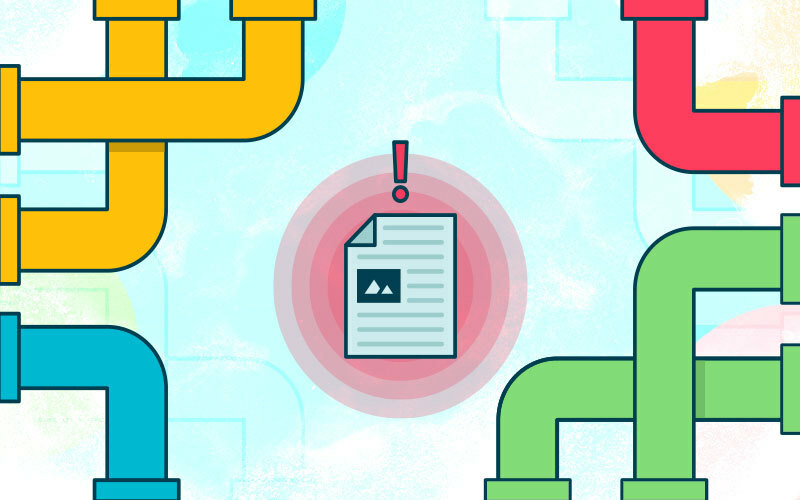 Using a template with auto-filling fields to input important information, like the recipient’s company name, will automate some of the customization and help you avoid find-and-replace errors. 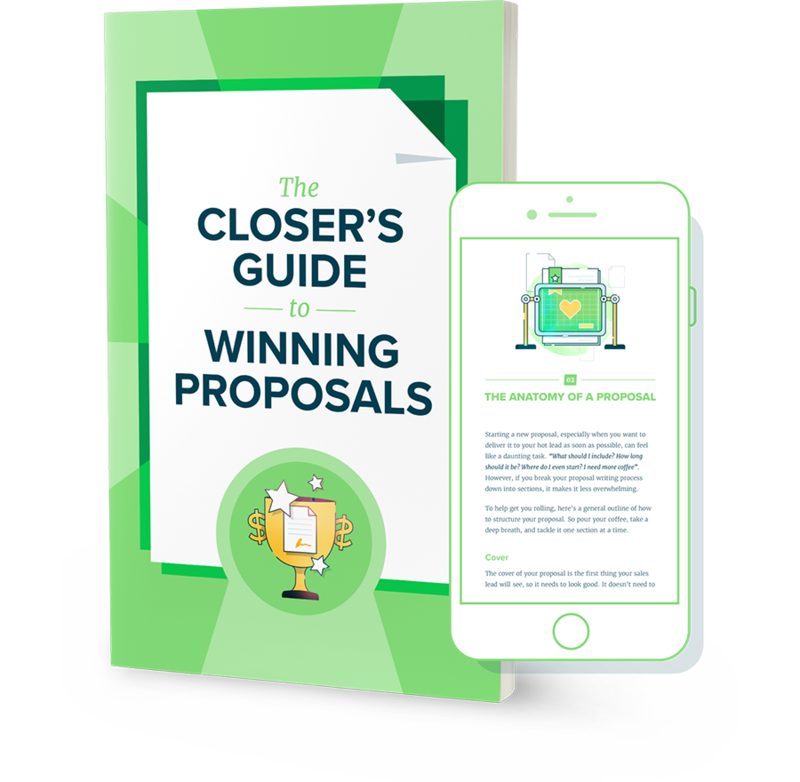 Know exactly what you’re selling before you start putting the proposal together using your notes and data gained from research, meetings, phone calls, and emails with the proposal recipient. Then create a basic structure for your proposal before you start writing, so you know what sections and information you’ll need to include. Explain your unique value proposition by showing not just the features of your product or service but also the benefits they offer. Include case studies from similar clients to show you understand their pain points and that your solution works. Slow down and take the time to proofread your content or have someone else read it over with a fresh set of eyes. If you need to outsource your editing, there are many companies and individuals that offer proofreading. Running your text through an online service like Grammarly or Hemingway can also help you polish up your writing. It’s a seemingly small thing that’s really a big thing—your proposal is your first impression with the potential client and its content should be persuasive and error-free. The sheer volume of proposals you have to create isn’t a good justification for sending crappy ones. Properly qualify leads before sending a proposal to keep the overall amount of proposals reasonable. That way you can really wow the important leads, the ones whose business you truly want. Is your proposal process sluggish and stuck in a rut? You might have a Heath Robinson contraption proposal process on your hands. Named for a British cartoonist who drew fantastic comical machinery, this style of machine has come to imply a ramshackle solution that seems to work anyway, although its success may only be temporary. Sound familiar? Your proposal process seems to work fine for now, but it’s not flexible or scalable. You never know if the recipient received the proposal, let alone if they opened or read through it, and only find out when the deal closes (or not at all?). There are bottlenecks as you wait on a person, a detail, a price. You make it hard for your proposal recipients to say yes. You don’t ask for, or incorporate, any feedback on your proposals. You attempt to change the process for the better, but receive push-back. Sending your proposals via proposal software lets you know when your proposal is received, opened, and read. Instead of sending it into the ether, you see the metrics: which pages were viewed, how many times a page was viewed, how long viewers spent on a specific page, and so on. You can also use these metrics as part of your proposal feedback. Are recipients spending time on the sections you want them to? Are they scrolling past particular sections or getting stuck at certain points? Look at the questions recipients ask or comments they make about your proposals. Where could you simplify or add some details? Don’t live with bottlenecks. Assess what’s causing them: is there missing work? Work not of the right quality to proceed? Do you need more people or other resources to make things flow smoother? Look at the process flow: are there places where too many things are converging at one point at the same time? Maybe one sales manager is responsible for approving all proposals, but she’s too busy with meetings to go over them promptly and they pile up. Find ways to reconfigure the process so as to avoid these bottlenecks in the process. Send all your proposals electronically. Business moves too fast to be waiting for snail mail or a fax. In proposal creation, as with most processes, doing something in a particular fashion, even if it no longer works well or makes sense, is not a good justification. Every step of your proposal process should be focused on how winning deals. Any part that distracts from this goal should be reassessed and then amended or abandoned. As long as your proposal process is not functioning as well as it could be, your sales team is missing out on opportunities to close more deals. A straightforward, productive process that works like a well-oiled machine is a boon for everyone—your sales reps, your buyers, and your bottom line.